Dawit Tesfay, owner and operator of Covenant Tours, we have a passion for showing others the Ethiopia we know and love. When I was a young boy, I earned money by making small wooden crosses in Axum. As I grew older, I realized I wanted to be the one leading tours, not just making crosses along the way. I led local tours of Axum for three years after I completed high school. Then an opportunity arose for me to receive further training as a tour guide. Realizing that this was the next step in accomplishing my dream of “being the premier tour guide” in Ethiopia, I quickly agreed. Through the Lion Ethiopia Tourism and Hotel Management school I received a two-year degree. I am both a certified tour operator and tour guide. I have studied the history, architecture, flora and fauna of sites all across Ethiopia. And obviously I know the culture very well. I seek to create tours that will allow visitors to see not only the most historical sites, but also some of the most beautiful places in the country. I also continue to take classes to ensure that my information is accurate and interesting. As a smaller tour company, I take pride on being able to offer completely customized packages and specialized attention to everyone who comes to take a tour with us. We look forward to showing you around Ethiopia soon! 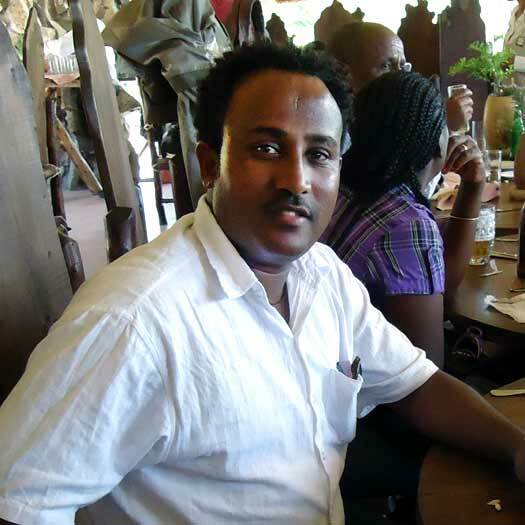 Dawit also works with three other guides: Tedros Girmy, Soloman Belay and Rufael Fitsum. These guides are childhood friends and share Dawit’s passion for creating beautiful, unique tours of Ethiopia. All guides who work with Dawit are certified tour guides through the Tigrai Tourism Association and the World Guides Association, a program operated through the World Bank.